Download and play Angry Birds Epic on your Lumia(520,620,720,920) phones. The much awaited Angry Birds Epic game for Windows Phone, Android and iOS is released today by Rovio, Angry Birds Epic brings a whole new gameplay which is different from the original physics based gameplay of the previous Angry Birds Games. 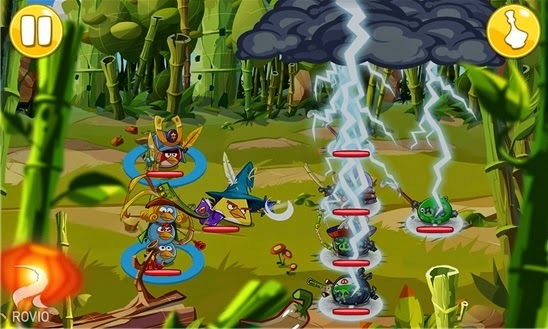 Angry Birds Epic is features a addictive RPG style gameplay with good graphics and amazing backgroud music which makes you like the game instantly.